One of Italy’s major wine producing regions and the leader in the production of a number of classified wines, such as those listed below. Cabernet Sauvignon is one of the most famously grown grapes in the World. Cabernet Sauvignon is occasionally aged for approximately 18 months in tiny oak barrels in order to achieve more complexity. This grape produces a full-bodied red wine that is dark in colour. The flavour is usually enhanced by oaking and tends to be preferred by many when it is aged. 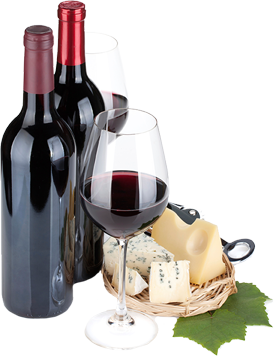 Furthermore, Cabernet Sauvignon is widely known for being a mix between Cabernet Franc and Sauvignon Blanc. *Oak Aging Recommended. Optional: In Store Winemaking Prices $140.00. Merlot grapes have been cultivated all over the world for centuries. This type of grape produces dry wines that are rich in flavour and ruby red in colour. At the same time, Merlot is velvety smooth and rich in aroma and is preferably enjoyed when it is aged. In most cases, Merlot grapes are often blended with Cabernet in order to shorten the Cabernet Sauvignon’s aging requirement and produce a softer wine. *Oak Aging Recommended. Montepulciano, from the Montepulciano d’Abruzzo region of Italy, produces dry, smooth and complex wines. This robust, ruby red wine has mild fruit flavours, complemented by oaky and earthy tones. Also, occasional oaking and aging help to enhance the wine’s character. *Oak Aging Recommended. Optional: In Store Winemaking Prices $135.00. Sangiovese is one of those wines that people tend to overlook on the wine list. It is difficult to pronounce for the average lay person. The grape is believed to have its roots in Tuscany, but is grown intensively throughout Italy, where it is a dominant member of the Chianti family. For the winemaking process, the Sangiovese grape is typically blended with Cabernet Sauvignon and Merlot. *Oak Aging Recommended. Traditional Food Pairings: Sangiovese is really a food wine. The wine’s high acidity makes it a perfect partner for tomato-based pastas and pizzas. It goes very well with tomato based foods. It also goes well with cured meats, some fuller grilled fish, poultry, and veal. Literally “Black Bitter” is a noted variety planted in the Puglia region, the heel of Southern Italy. Made from very old bush vines, which produce grapes with low yields and good concentration. This variety is normally blended with Black Malvasia, 80/20 combination. Negroamaro is not just another fruity face, but also has some of the spice of Zinfandel and the silky smoothness of Pinot Noir. *Oak Aging Recommended. Optional: In Store Winemaking Price $140.00. A wine that is a hearty, rich red wine that is smooth in flavour. Pinot Nero has a soft texture and is dark in colour, which makes it an excellent sipping wine! *Oak Aging Recommended. Traditional Food Pairings: Pinot Nero can match easily with some meat and fish dishes. To enjoy Pinot Nero with a good meal, chicken, rabbit, ham, roast beef, salmon and salmon trout would be good to try. Known as Zinfandel, Primitivo is a dry, rich, well structured and full bodied, dark red wine. Malvasia Red is a medium bodied wine which is quite unique. It is used mostly in blends like Negroamaro wines, but on its own can be quite delightful. This varietal does not require a lot of aging.